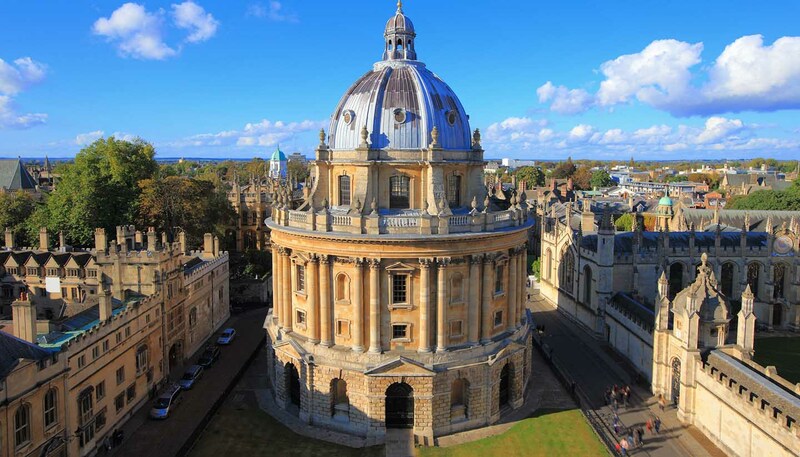 Steeped in academia, literature and culture, Oxford and its “dreaming spires” are impossibly romantic. This is a city where past and present sit happily together. Comfortably bearing the weight of eight centuries’ worth of academic history, Oxford’s honey-gold university buildings retain the power to overawe. Its roll call of associated characters (ranging from Lewis Carroll and Samuel Johnson to JRR Tolkien and Evelyn Waugh) is as celebrated now as it ever was. Most visitors come to Oxford for the beautifully preserved college buildings scattered around the city. Thanks to their aesthetic appeal, many have provided inspiration for classic books such as Alice in Wonderland and The Wind in the Willows, while British TV’s love affair with Oxford shows no sign of abating - Downton Abbey is filmed in and around the city. The vast student population ensures that Oxford maintains an impressive nightlife scene, with excellent live music options and a countless array of traditional English pubs serving award-winning ales throughout the city centre. The student area around Cowley Road is blessed with some superb eating options and a thriving independent shopping scene. The wonderful Covered Market is the ideal place to stock up on treats before hiring a punt to take you along the city’s multitude of waterways. The Cherwell and Thames both flow through Oxford and each provide access to some of England’s most beautiful countryside. Cultural highlights are plentiful. The excellent Pitt Rivers Museum is home to some amazing, off–kilter natural history: you can even stroke the taxidermy. The Ashmolean, the world’s first public museum, offers treasures from ancient Greece, Rome, Egypt and much more. Then there’s the Museum of Oxford, which recalls key events in the city’s history while you can relive the life of a Victorian prisoner or learn more about the legends of King Arthur at Oxford Castle. Today, part of the castle is home to a superb boutique hotel, the Malmaison. Modern Art Oxford has regular exhibitions of cutting edge sculpture and painting, while the Oxford Playhouse attracts the best touring productions.